Eco-tourism is very popular in Costa Rica. 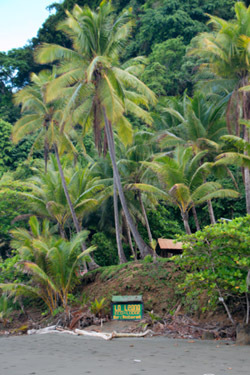 There are many eco-lodges throughout Costa Rica where the experience is nature itself. Stay high in the cloud forest or where palm trees meet crashing waves, there's an eco-lodge and eco-adventure for you in most places throughout Costa Rica. Explore this untouched paradise by hiking, kayaking, mountain biking and zip lining. Do yoga on open platforms in nature, tour the cloud forest from above on canopy bridges, or battle the rapids in a raft or canoe.